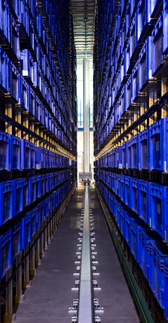 With our extensive warehouse space and modern storage systems, we despatch stock orders rapidly. Our goods are packed in sturdy, recyclable materials. We can also assemble, repackage and hold goods on request. Goods are despatched using economical, reputable couriers and freight forwarders. Express shipments and overnight shipments may also be possible for an additional charge.